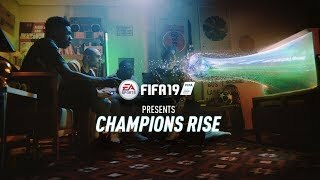 FIFA has the intense feeling of football without having to move from your sofa bringing the intensity of getting that goal, yellow and red cards and living the dream. Except you aren't getting paid an insane pay check every 5 minutes. 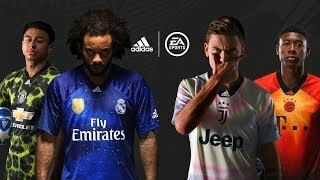 This is FIFA 19. 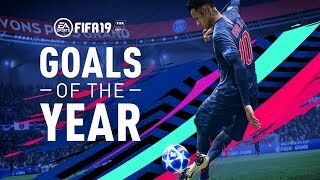 Now I'll start by saying that I'm not a football man, always been a Formula 1 fan, always have and always will however playing this has given me the aspect of being open to different kinds of games that I don't normally play and that is FIFA 19. 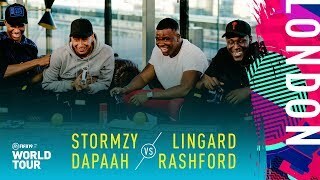 So, what is FIFA you ask? My response will be where is your cave and how do you entertain yourself? 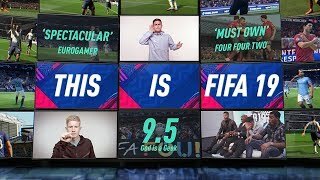 FIFA is the flagship for football Brought to consoles, giving people the experience of what we all see on TV when watching any Football match. Now the last FIFA game I played was back in 2010 when I was in year 10 in school, I was obsessed with Halo, Gears and Forza (still am but that's not the point) and my brother was the one obsessed with FIFA. He would always want me to play a few games with him and every time I did I would get my behind kicked. Back then the game felt seriously clunky and just not fun to play but that is not the case any longer. While I was waiting for the game to install I was able to play a quick kick off game, so I decided to give it a go even though it was 2am and due to be in work for 8am for 11 hours. Because I hadn't played any of the FIFA games since 2010 I was not expecting much however I must admit I was mistaken. Playing the game on the Xbox One X it truly is a beautiful looking game and the cutscenes as well look slick. So just kicked off and the first thing I ended up doing was passing the ball to the opponent making me look like an idiot however even though that occurred I thought to myself "that actually felt rather fluent rather than clunky". 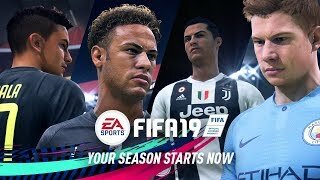 EA have improved the mechanics over the years and it makes the game fun to play, once again coming from a person who doesn't really like Football. Now since the game was still downloading I had only a few teams to choose so I chose Paris and I went against Real Madrid. I lost 1-3. I looked like an idiot but it's OK because everyone was sleeping so I looked like an idiot in privacy since I don't know what good teams are good and which are bad. So once the game finished downloading I notice an option called The Journey and that did make me curious since I never saw that in the past and was quite surprised to see a kind of career mode, which is a nice touch to a game that you wouldn't expect. I haven't completed the career yet, but I am liking the story behind it, you get to choose the kind of "hero" you want to be even though you know who is going to be a pain to work with. I am liking the idea with the training segments as well to help you play because it helped me since I hadn't played for 8 years. There are the small things that I really like as well such as the crowds, you can see the excitement when you are about to score and especially once you have scored. The celebrations you can do once you have scored either a random or signature and they never disappoint. 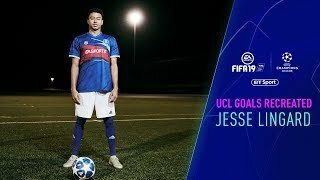 The biggest taunt I have learnt when it comes to playing FIFA online is not skipping the celebration after each goal, so your enemy must sit there and submit to their defeat. Speaking of online, I just can't do it. No matter how quick I think I am, no matter where I am or even how much I curse I just always lose so I retired from FIFA multiplayer. There are some things that I think need to be improved with the game. One of the main issues I have is that it is hard to keep track of which player you are when the ball is being passed around by the opponent meaning you must spam the switch button until you realise you are the player not randomly running into the opposite direction of the ball. There are times that the controls tend to go a bit overboard, when times get intense you tend to tap the button a few times just to make sure it works, when I press A to pass when I'm about to get tackled I press it a few times since the player can delay the pass but because I have pressed more than once the ball will keep passing to other players until it has done a loop of all your players before you realise the ball was passed to the opponent annoying you to the max. 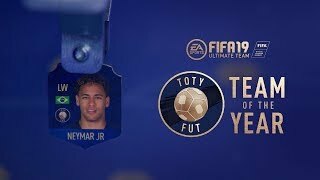 We do need to acknowledge as well the controversy with the micro transactions since FIFA is well known for them. 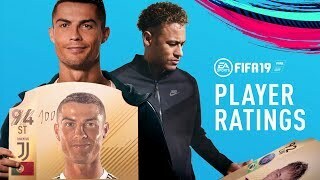 The game kind of gives me the impression that it couldn't really do that well without them but at the same time I know that EA are reworking their whole micro transaction system, so they could improve, which would be a good move. If EA can do it for Battlefront 2 and Need for Speed Payback, then why not this game. So, what do I think? I'll be honest that this game did surprise me since I have enjoyed myself playing it. It opened me up to giving different games a chance because the sport may not be my taste in real life doesn't mean it can't be fun on a console plus this is a game that I'd agree to play with friends at a party, gathering, escaping from the missus that kind of thing. If you are on Xbox and have EA Access there is a trial for this, give it a download and see how you feel, it's not going to be for everyone of course but then again, no game is.